Magnificent Oversized Navy Blue Antique Persian Tabriz Rug, Country of Origin / Rug Type: Persian Rug, Circa Date: 1900 – Antique Persian Tabriz rugs are world-famous carpets from what is modern day Iran. 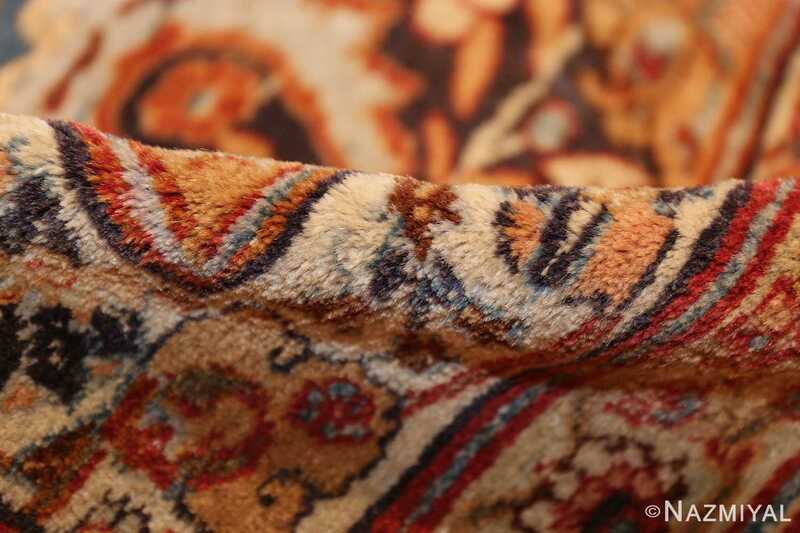 The Persian city of Tabriz has long been a rug weaving haven and is one of the largest cities in Iran. 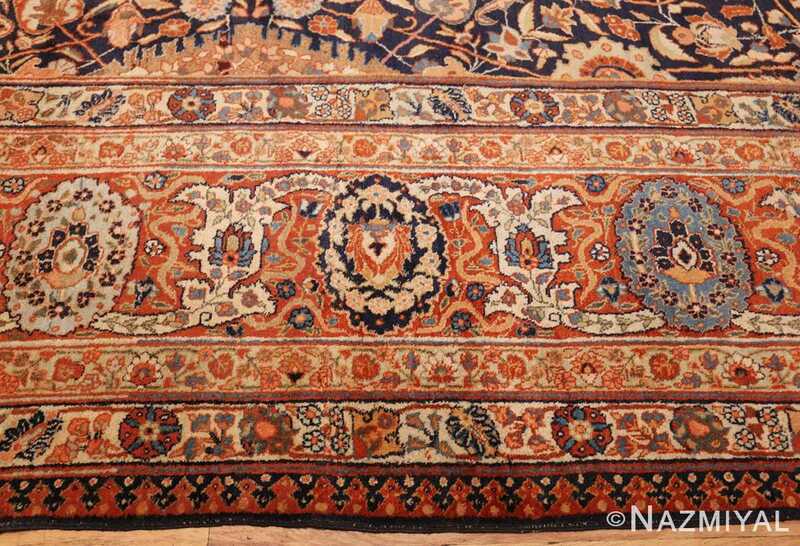 It’s known for its varied and plentiful options in finely woven carpets. 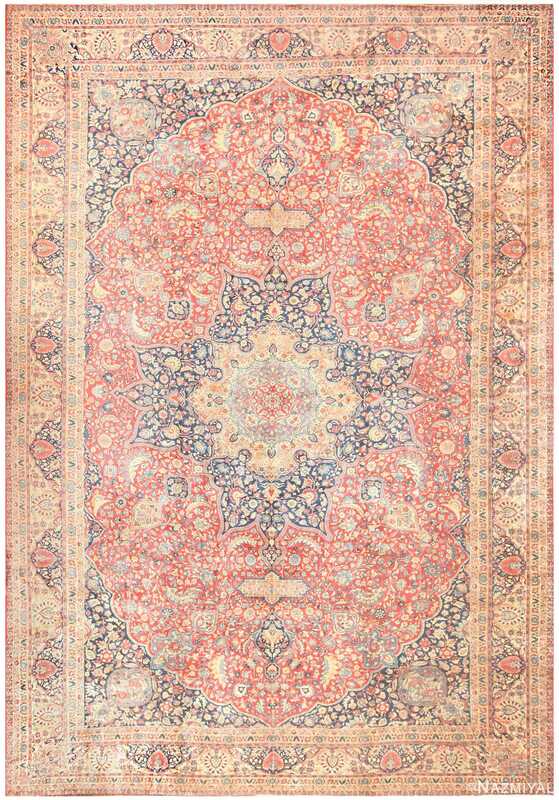 This large oversized Persian Tabriz rug is a shining example of it’s kind. 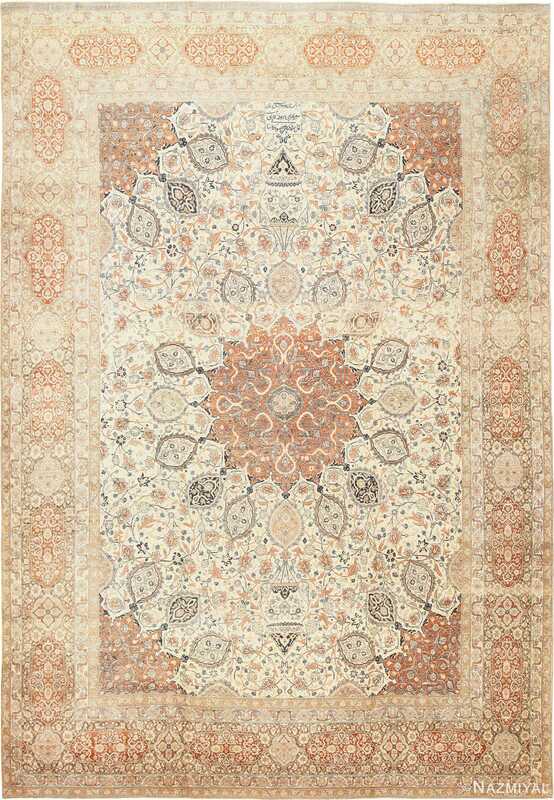 This large oversized rug can easily work in all kinds of different interior designs. 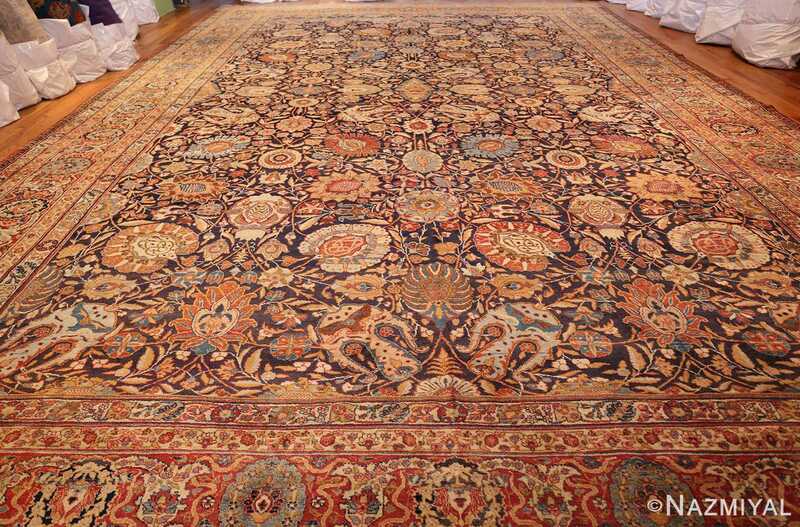 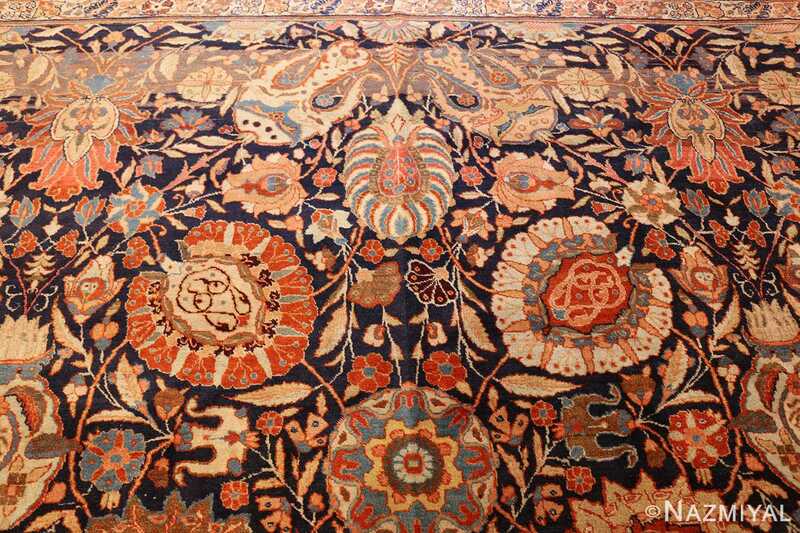 If you want to adorn your living room floor with an antique Oriental rug that’s classic and marvelous, this one may be the right fit. 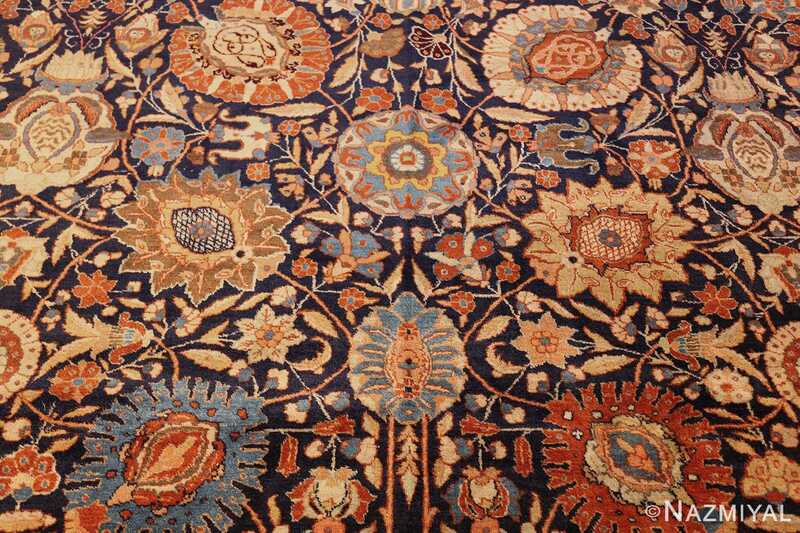 Featuring a background that is navy blue with patterns that are so elaborate that they’re almost hypnotic and mesmerizing. 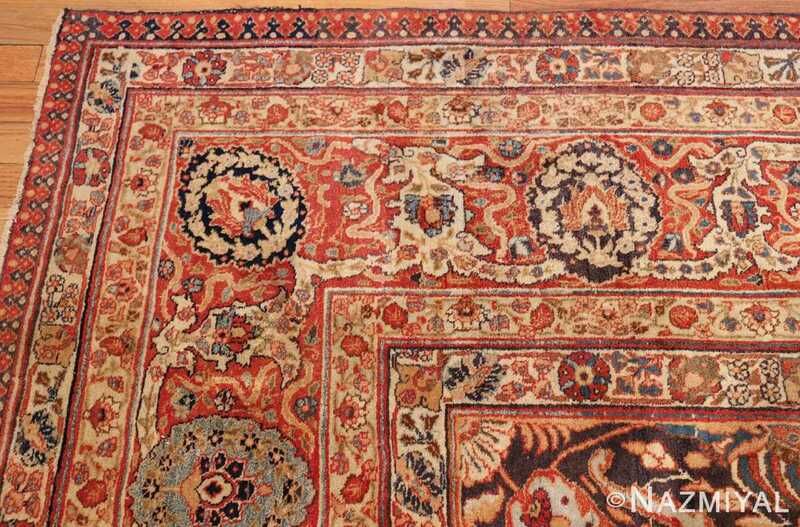 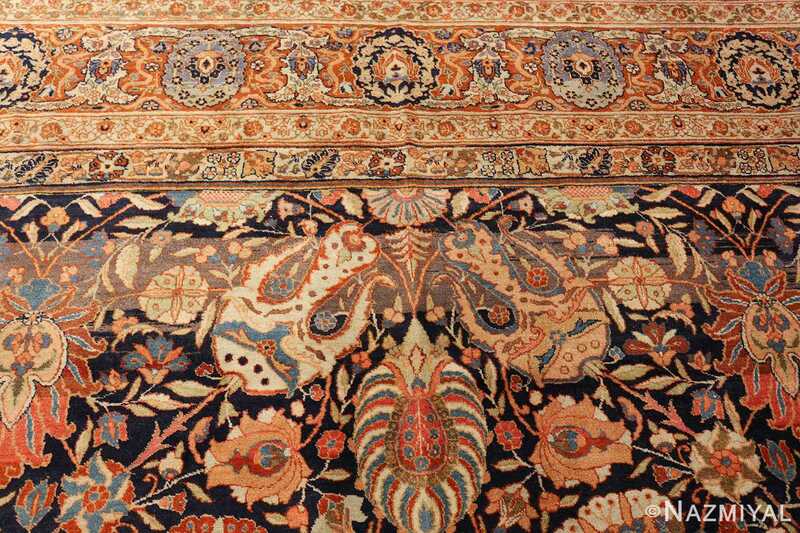 People who take the time to look at this antique Persian rug can enjoy floral inspired designs and patterns that are unlike anything they’ve ever feasted their eyes on before. 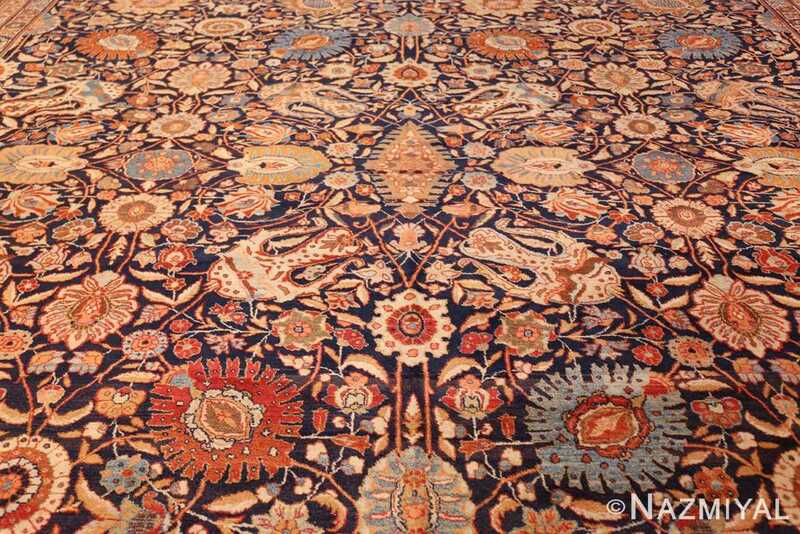 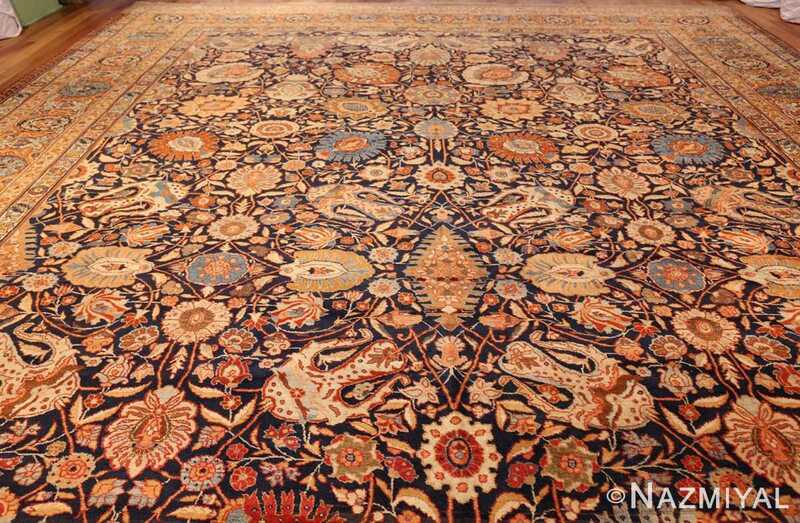 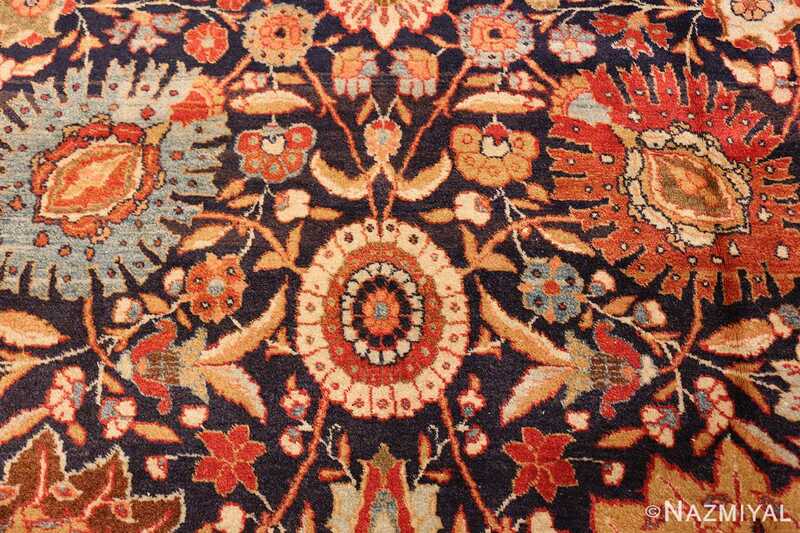 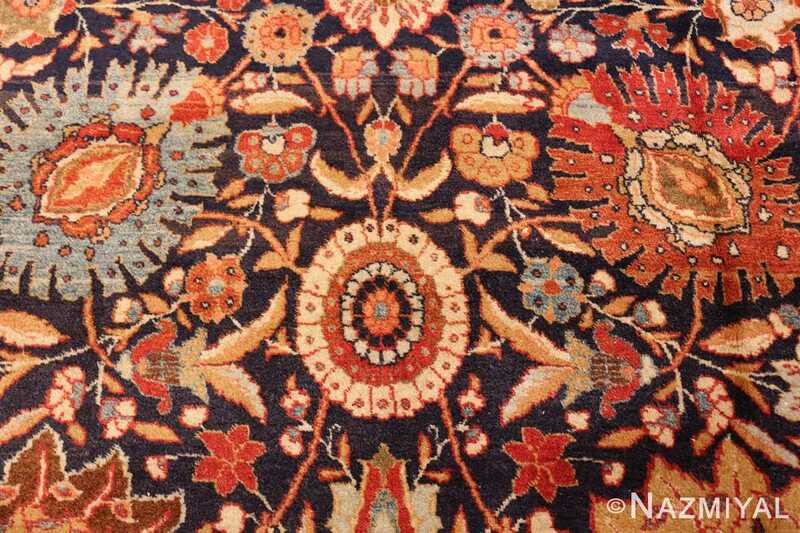 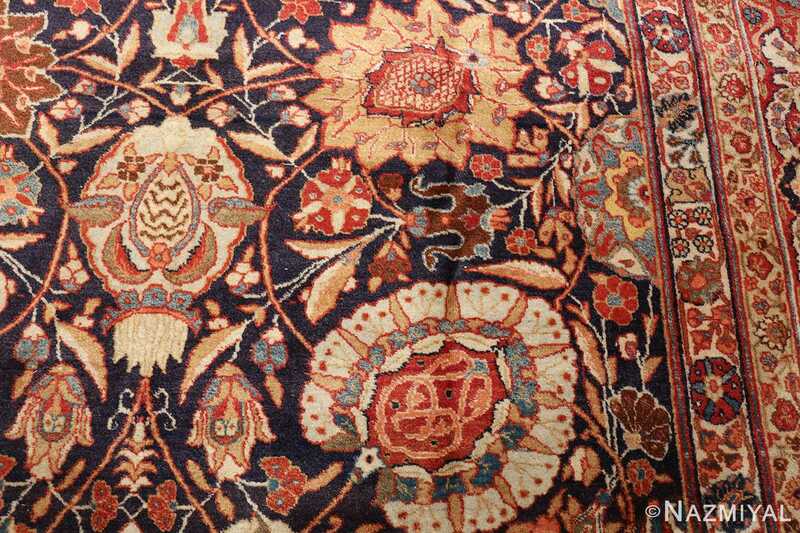 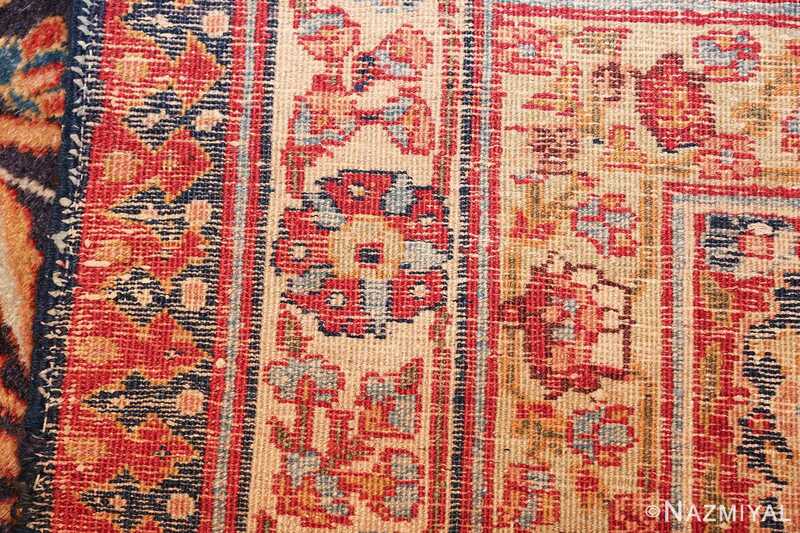 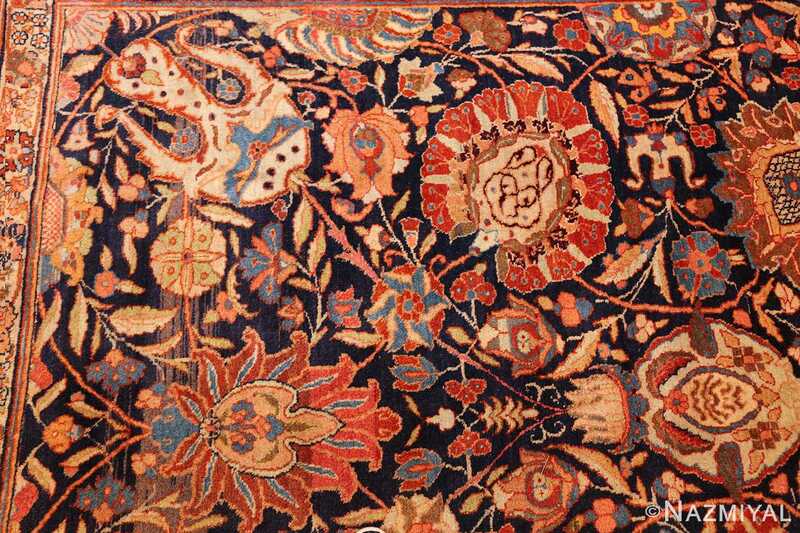 The colors that make up this antique rug are truly worthy of mention as well. Although the the background of this blue antique Persian Tabriz rug is mostly navy blue, the design elements feature rich and deep jewel tone colors as well.This Persian rug was produced around the year 1900. It has a beauty that can and has withstood the test of time. 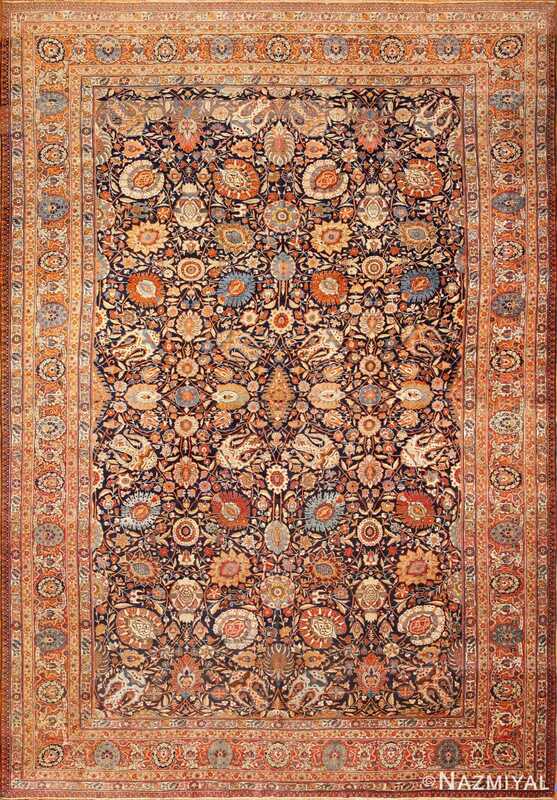 This is a Persian Tabriz rug that can transform the ambiance of any room in the home. It can take the atmosphere of a spacious living room to a whole new level. 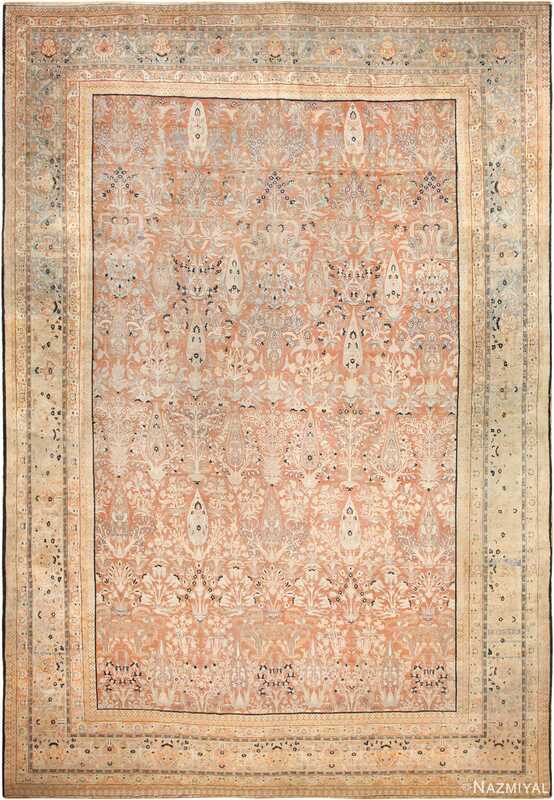 It can upgrade the vibe of any sizable bedroom, too. 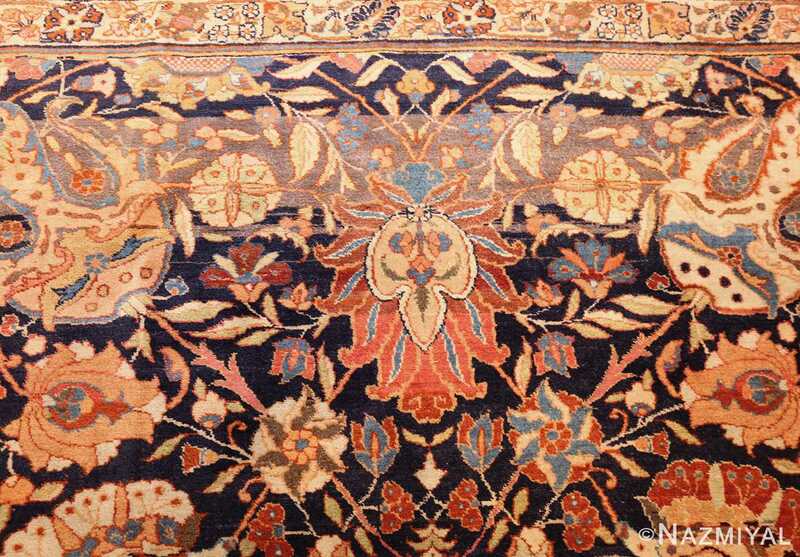 If you want to design a master bedroom that’s reminiscent of an exotic palace from long ago, this antique rug may be the ideal tool. It can be a hit in all types of homes. People who have modest and cozy homes can benefit from introducing this large oversized navy blue antique Persian Tabriz rug .